Carolyn Keene and Franklin W. Dixon are the pseudonyms under which many ghostwriters penned the Nancy Drew and Hardy Boys series, respectively. Both series were created by Edward Stratemeyer, founder of the Stratemeyer Syndicate book packaging firm, in the late 1920s and early 1930s. Stratemeyer's daughter, Harriet, and syndicate writer Mildred Wirt Benson were the two people primarily responsible for bringing the iconic character of Nancy Drew to life in the minds and hearts of millions of readers around the world. Please enter your email address and click the Follow button to follow Carolyn Keene! When Nancy searches through the knapsack of an amnesia victim, she finds an unusual ring. Before long, she is caught up in a second case about a beautiful harpist. As Nancy works both cases, her discoveries reveal an important connection between the hospital patient, the harpist, and troubling enemies from abroad. Ned’s marketing project for his Emerson College class—introducing Spotless beauty cream to the public at a local mall—is threatened by a mysterious individual who has laced the product with poison. It’s up to Nancy to uncover the perpetrator. Nancy Drew’s quest for the driver who mowed down Kim Baylor in broad daylight leads her into extreme danger and an encounter with a murderer. The police suspect some of the junior high kids in Nancy Drew’s after-school program of breaking into houses. But when Nancy sets out to find the truth, she finds herself in danger. The real crooks are determined to shut her down—before she shuts the door on the River Heights burglary ring! In The Clue in the Camera, what starts as a fun trip to San Francisco develops into a dangerous mystery when Nancy exposes the dark secrets of a dead man. Nancy's father has been kidnapped in New York City, and Nancy may be his last chance to come out of it alive. Volunteering on a hospital ship that brings medical care to South America, Nancy begins to suspect that someone is using the ship to transport illegal cargo and must track down the clues before her own health is risked. Ned’s friend Trevor is a promising young doctor, but his patients keep disappearing. As Nancy unravels the mystery, the bodysnatcher stalks her. Could this be Nancy’s final operation? In the glitzy world of magazine publishing, Nancy Drew searches for a ruthless killer. A series of death threats send Nancy undercover at Flash , the country’s top teen magazine. The target is Yvonne Verdi, coowner of Flash and wonder-girl of the magazine world. Posing as a reporter for a ski magazine, Nancy sets out to uncover the truth behind Rebecca Montgomery’s firing from posh Tall Pines cross-country ski resort. Nancy Drew visits Belize and uncovers crime on the high seas. Nancy goes undercover at a girls’ prep school to find a movie star’s missing daughter. While doing a favor for her father in Bear Hollow, Indiana, Nancy tries to help a new friend find the reasons someone is trying to ruin her family. A long-lost family secret and an inherited fiddle seem to hide clues to a secret fortune. Nancy checks into a luxury hotel where danger comes free of charge. While Nancy investigates threats against Italian-born student Gina Fiorellao, Gina targets Ned Nickerson for romance. Nancy uncovers secret ambitions and sinister desires that could prove fatal—not only for Gina, but for Nancy as well. In this thrilling adventure rife with romance and danger, Nancy travels to Venice to investigate the kidnapping of a famous glassblower and the disappearance of an artist. Nancy, George, and Bess are on vacation in Maine when they stumble on a bizarre mystery—has their friend’s father been killed, or is he really the victim of a cover-up? Nancy travels to Canada to stop a blackmailer. All sorts of successful people are being blackmailed from the same social circles. As Nancy gets deeper in to the case she senses a master criminal—someone as smart as she is—but on the wrong side of the law. When the customers of the River Heights pharmacy take seriously ill after being delivered their medicine, Nancy is convinced that sabotage is involved and searches for the deadly drug. When her friend’s cat, Purrfect, is kidnapped after entering a River Heights cat show, Nancy Drew investigates the case of the missing feline and uncovers a devious scam. Nancy and Bess are thrilled when they get invited behind the scenes of the Thanksgiving Day Parade in New York—until Nancy learns of a plot to sabotage the entire event! While enjoying a fabulous party hosted by wealthy Joanna Tate, Nancy finds herself investigating a major jewel theft. Her chief problem is a rookie police detective who wants to nab the thief himself, but a rash of devilishly original murder attempts convince Nancy to solve the case quickly—or pay dearly later. Some joker is causing trouble for Danner & Bishop, Chicago’s most exclusive department store, but no one’s laughing. Then Nancy and friends go undercover as store employees to catch the culprit—and find themselves in serious trouble. While visiting Ned Nickerson at college, Nancy must ask him some sensitive questions after a scandal breaks out that could lead to his expulsion. and she uncovers a secret obsession that puts more than broken hearts at stake. Carson Drew’s old friend Charlie invites Nancy and her friends to his eight-hundred-acre Highland Retreat in the Cascade Mountains where the legend of an untapped gold mine lingers. Nancy’s high school class reunion provides a mysterious opportunity when former cheerleader Wendy Harriman finds her room ransacked and a horrifying death threat is left among the mess. Nancy investigates the kidnapping of Caterina Reigert by posing as the writer of the girl’s father’s autobiography. Nancy’s going to the White House, where George is interning as a photographer’s assistant. On the day of her arrival, a photo session of a priceless solid-gold statue is under way. But something is wrong with this picture—Nancy gets knocked out cold and now the statue is missing. When George persuades Nancy and Bess to volunteer for incumbent Councilman Tim Terry’s political campaign, Nancy finds herself in the middle of a web of lies, blackmail, and deceit. Will she expose the culprit before the campaign is destroyed? While Nancy attends the Martha's Vineyard Film Festival, a movie masterpiece is stolen, and her investigation puts her in danger of being cut out of the picture for good. While working for a TV news team, Nancy gets a chance to cover a breaking story at the zoo—a cougar, belonging to one of the world’s endangered species, has given birth to four cubs. But the wondrous news turns wicked when the cubs are stolen. Nancy, Bess, and George are in Chicago for the Mystery Lovers convention—and two of the two stars scheduled to appear have been kidnapped! Some think it’s just a ratings ploy, but Nancy uncovers the truth. Can she save the missing stars before someone in the TV ratings war makes a killing? As Nancy’s summer vacation in the Hamptons draws to a close, she struggles to choose between Ned, her longtime beau, and the handsome dancer Sasha, and she investigates the kidnapping of a millionaire’s daughter. When someone tries to rig the Far West Regional Water-Skiing Championship, Nancy Drew and her old friend, Katie Cobb, who is favored to win the competition, search for a dangerous saboteur. Working with a telepathist to try to find a kidnapped woman, Nancy is feeling vibes all right, but they’re coming from the charming man who holds her fate in his hands. Will Nancy overcome the distractions and find the missing woman before she’s out of time? Nancy is abducted by terrorists when she poses as a government courier to deliver a document vital to top-secret negotiations with a country on the brink of revolution. Someone has broken into the safety depository at the Wilputte Bank & Trust, but nothing has been stolen. Nancy is called in to investigate—and meets a couple of robbers comparable to Bonnie and Clyde! When she learns that the recently widowed Mrs. Kittredge is making regular visits to a fortune-teller and turning over large sums of money to Madame Destiny, Nancy decides to investigate. While staying at the exclusive Spa Solaire outside Tucson, Arizona, Nancy and her friends witness a series of strange events, beginning with sabotage and ending with a kidnapping. When Nancy’s boyfriend, Ned Nickerson, looks into insurance fraud as part of his job as an insurance company investigator, the perpetrator ends up dead—and Ned’s prints are on the weapon. Can Nancy intervene before her boyfriend ends up behind bars? When Carson Drew’s millionaire client Clayton Grove dies of a long illness, Nancy is determined to see that the wrong person doesn’t inherit his fortune. An irresistible ballet star from the Soviet Union leads Nancy on a dance with danger. But is the star a master of dance? Or of deceit? Nancy is sent to Los Angeles to investigate a case of arson in a luxury hotel—and has a hot time in Hollywood! Nancy joins her boyfriend Ned’s expedition to Yellowstone National Park to research the marmot. But the natural wonders of Yellowstone have turned into a setting for unnatural danger, as the furry little mammal becomes the focus of human greed and a criminal plan to steal them from their home! At Camp Treehouse, Nancy’s bunkmate Lauren is having a crummy time, because someone has stolen her camera. Nancy investigates, follows the clues, and helps her new friend. Nancy goes undercover as an investigative reporter after threats are made on the life of handsome WRVH-TV News anchorman Hal Taylor. The evening news is filled with violence, ambition, and greed—and that’s just behind the camera! Can Nancy get to the bottom of who’s after Hal in time? Nancy goes undercover to investigate the death of a naval flight trainee. Though listed as an accident, the evidence points to sabotage. Fellow trainee—and top suspect—Crash Beauford has his eyes on Nancy, but she’s determined to keep herself on course. Nancy Drew and investigative reporter Brenda Carlton compete to solve a case involving a string of local robberies, but Nancy must forget their rivalry when Brenda falls into a trap Nancy set for the thieves. The River Heights car theft ring makes off with Bess’s brand-new Camaro, and when Nancy finds the suspected thief murdered, she knows that only an accomplice—possibly someone working with the police on the case—could have gotten to the thief before her. In Hawaii, Nancy Drew investigates when Lisa Trumbull, granddaughter of millionaire Alice Faulkner, is kidnapped, and a ransom note demands that the Faulkners sell their shares of Windward Bancorp to the mysterious Malihini Corporation. Nancy Drew witnesses a purse snatching and runs after the thief. She rescues the purse, but not its contents, then is asked by the owner, a doll collector, to do some detective work. Readers will enjoy Nancy's clever ways of finding all she seeks, and bringing happiness to a misunderstood child and her lonely grandmother. Nancy investigates a thirty-year-old mystery involving the bizarre death of Mayor John Harrington. Nancy grapples with sabotaged cars, suspicious accidents, and a desperate letter to an advice column figure in this summertime mystery. One of Mr. Drew's new clients, Mr. Sakamaki, requests Nancy's help solving a mystery. Mr. Sakamaki recently inherited his grandfather's estate in Hawaii, but two strangers arrive, claiming to also be the grandchildren of his deceased grandfather. Can Nancy uncover the truth? When Halloway College freshman Ava Woods turns to Campus Connections—a computer dating service—in hopes of finding her dream date, she disappears. To solve the crime, Nancy and Bess pose as transfer students and join the dating service. But then the head of the service is murdered—and Nancy becomes a suspect! Ned’s cousin Lisa has been accused of setting fire to her architect father’s new project—just to get out of the family business! It’s up to Nancy Drew to prove Lisa’s innocence and find the real arsonists, or the suspect could become the next victim. Nancy, Bess, and George are spending a month at a fabulous California beach house where they discover illegal dumping of trash, reality-television stars next door, and a possible cult. When Nancy turns down Ned's marriage proposal, she is shocked when the very next day he announces his engagement to another girl! Nancy knows the other girl is up to no good and she is determined to find out what she is up to. While helping raise money for a Brooklyn park, Nancy must track down the kidnapper who has abducted a performing band’s lead singer—and discovers a hidden motive buried deep in the city’s past. Nancy is assigned to find a missing rock star—Bent Fender’s lead guitarist, Barton Novak, who disappeared suddenly after telling Nancy he had something important to tell her. A desperate call from an old friend brings Nancy to Seattle to investigate a possible murder. Nancy shifts into high gear as she uncovers corruption in the highest places, including a plot to silence her father, a reporter, and herself. Nancy sets out to have a fun and exciting white water rafting trip, but sabotage causes events to take a dangerous turn, and it’s up to Nancy to rapidly investigate. Nancy Drew is determined to prove the innocence of a man who spent five years in jail—only to find him dead on her first investigative visit. During a visit with Ned’s married cousin in San Francisco—an employee at the Coast’s hottest talent agency—Nancy investigates the mysterious deaths of the rich and famous. A painter’s passion leads Nancy to a brush with danger. Michael Jared is one of America’s hottest young artists, and his new painting, First Kiss, has everyone talking—especially the police when it vanishes from display. When Nancy and her friends travel to New Orleans for Mardi Gras, Nancy is confronted by a baffling art theft—and exposes a terrible secret. Murder is brewing at a world-famous cooking school in Chicago where two chefs turn up dead shortly after Nancy Drew and Ned enroll for a course on a bet. Nancy must catch a powler before he ruins the day! The library's Jane Austen Tea Party benefit is put in jeopardy when someone starts sabotaging the Bed and Breakfast hosting the event. Nancy has been called on to figure out how the prowler is getting into the house and why. Someone is using email to sabotage Nancy’s father’s law firm—and Nancy’s searching cyberspace to put an end to this web of greed, deception, and betrayal. Nancy, Bess, and George pick the perfect subject for their class science project: ice cream! But when they study ice cream at two ice cream shops, they find a conspiracy to close one of the shops. Nancy is working the phone lines for the Help Is Here teen hotline—but she receives one call that requires more than a sympathetic ear. A volunteer at the teen center has been murdered, and now the only witness is in danger of losing her own life. Time is running out for Nancy and her anonymous caller. Nancy uncovers a mystery while cruising to Rio de Janeiro when a drawing of a black widow spider with a coded message is slipped under Nancy’s door. Nancy’s friend George is set to run in a Chicago marathon alongside some of the country’s best female athletes. But when a top runner receives a series of death threats, Nancy races to stop a would-be murderer from crossing the finish line first. When her father’s coworker is murdered, Nancy sets out to find the killer. The victim has left a long list of enemies to work from, but the people in River Heights have their own ideas about who is responsible—Nancy’s father! Desperate to find the truth, Nancy sets out to find the culprit before her father takes the blame. It’s Fashion Week at the River Heights Mall, and Bess is in heaven. She works at a boutique called Wicked and is about to make her modelling debut. But someone is taking designer jackets from the shop, and Bess has fallen for one of the top suspects. Will Nancy clear Bess’s new beau’s name before the relationship is ruined forever? 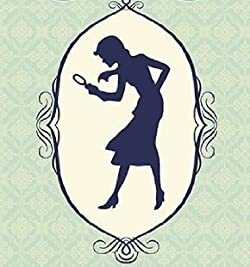 When artist and gallery owner Lila Cramer is conned into selling all her paintings for the price of one, Nancy Drew agrees to investigate—and discovers that there are many people who would like to see disagreeable Lila lose her business. Nancy’s in Tokyo to attend the wedding of her friend, Midori Kato, but the guests are greeted with a most shocking announcement: the bride has disappeared! Will Nancy’s sleuthing enable Midori to keep her wedding date, or is it already too late? On a winter vacation in Wisconsin, Nancy and her friends stay in a two-hundred-year-old castle where there is the rumor of a hidden treasure. Nancy’s weekend at the former estate home of the late, great mystery writer Dorothea Burden turns out to be much more than an innocent exercise in fictional felonies when several jewel-encrusted figurines are stolen. Rock star Jesse Slade disappeared under mysterious circumstances several years ago. Now, as Nancy and her friends Bess and George watch a television retrospective on Slade’s life, they notice something strange, and Nancy vows to reopen the case and solve the mystery. When Dan Wildman, one of River Heights’s hottest rock ’n’ roll DJs, is kidnapped, Nancy Drew is on the case! Bess and George invite Nancy on a trip to New Orleans, to help their relatives solve a mystery. Their uncle wants to restore an old showboat, the River Princess, but no one will go near it! Mysterious occurrences are making everything believe the boat is haunted. Can Nancy uncover the truth? When Nancy’s English postage stamps disappear before she can display the on her pen pal poster for Parents’ Night, she has to discover who has taken them, and why. An imposter has been using Nancy’s name to con wealthy townspeople out of thousands of dollars. Now the teen sleuth must clear her own name and uncover the true identity of an unscrupulous extortionist and her mysterious partner. When strange happenings coincide with the opening of a new dance club, Nancy is suspicious. The owner of the club is the heart-throb of every girl in town, and it’s not until Nancy finds a stack of old love letters that she realizes that the Last Dance could be her last case. Mystery writer Monica Crown hires Nancy to prove her jailed daughter is innocent of a diamond heist. Can Nancy find the real culprit before it’s too late? When Nancy Drew stumbles on an old diary full of secret clues in her own house, she finds a mystery that begins with one little old book—and ends with one big surprise! Nancy searches for the practical joker who is stalking the Emerson College basketball team before the team blows its chance for the play-offs. For Nancy and Ned, a week alone together in Washington State is a dream come true. But at the last moment, their vacation plans take a chilling turn. The owners of the Alpine Adventures guide service have been victimized by a campaign of terror, and to get to the bottom of the nasty business, Nancy must go to the top of Mount Rainier. Nancy visits deceased country singer Curtis Taylor’s hometown to investigate a report that Taylor has been seen alive. But Nancy discovers that he’s not only dead; he was also murdered! Nancy must work quickly to unmask an elusive murderer at the memorial concert for Taylor. Everyone thinks a ghost is the thief, but Nancy is on the case! A masked Mardi Gras ball turns spooky when revelers are tormented by a what they think are ghosts. When Deirdre Shannon’s antique tiara is snatched Nancy is certain the crook is a guest--not a ghoul. Nancy receives an urgent call from her Aunt Eloise in New York, requesting her help in solving a mystery. Her neighbor's granddaughter, Chi Che Soong, has gone missing! Nancy and her friends fly to New York to help track down the missing girl. When the accountant of Riverview’s hot new comedy club is sent to jail for embezzlement, Nancy is convinced that he has been framed, so she goes undercover at the club to catch the real crook! Will Nancy find the culprit before an innocent man goes to prison? A high-stakes treasure hunt plunges Nancy into a sea of danger…and murder. In Key West, Nancy sets sail on the Lady Jane in search of a wrecked Spanish galleon. When the owner of the ship is charged with murder, however, Nancy suspects a setup. Can Nancy find the truth before the captain of the Lady Jane goes down with the ship? Nancy Drew can’t wait to participate as a flower skater in the Champions on Ice show. She even signs up extra early! But when someone erases her name from the list, Nancy is crushed—and launches an investigation to find the culprit and get herself back in the show. When a top female skater takes a terrible fall, Nancy suspects sabotage. In this slippery world of fierce competition, ambition, and industrial espionage, is Nancy headed for a dance with danger? The famous clock from the first Nancy Drew mystery returns in this thrilling adventure. While on vacation in New York, Nancy Drew saves the life of an elderly woman who turns up dead a few days later. Is the victim’s supposedly caring family to blame? The Pineview girls’ soccer team attempts to raise money by selling a pair of brooches, but a thief who substitutes phonies may bring disgrace on the school if Nancy cannot solve the case in this high-stakes high school caper.